I have a lot of great stuff to share with you all today!! One of the best parts of summer here in the USA is the Fourth of July! Am I right? All of the red, white and blue colors, the food, the parties, and…….. the fireworks. 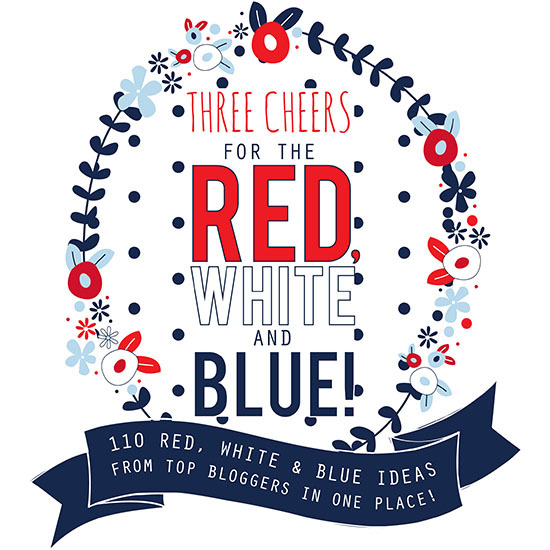 To help us all prep for this patriotic of holidays, 100 other bloggers and myself are giving a cheer for the red, white and blue today!! 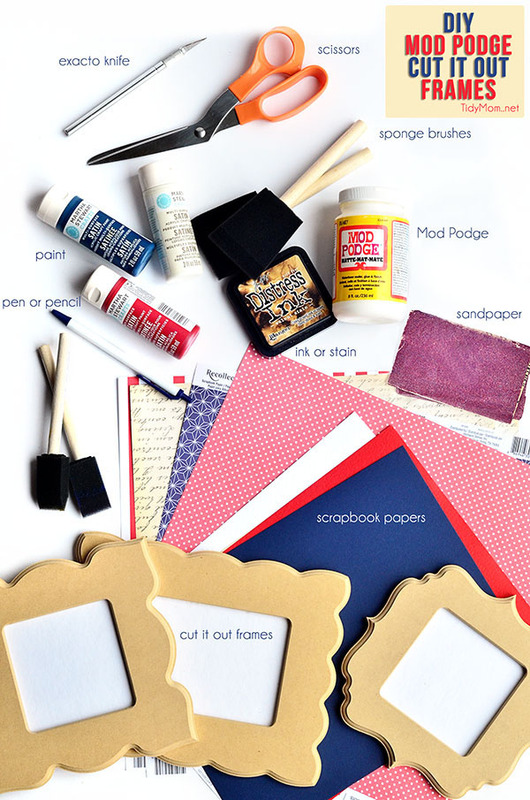 You’ll find over 100 patriotic crafts, recipes, printables, decor and more!! 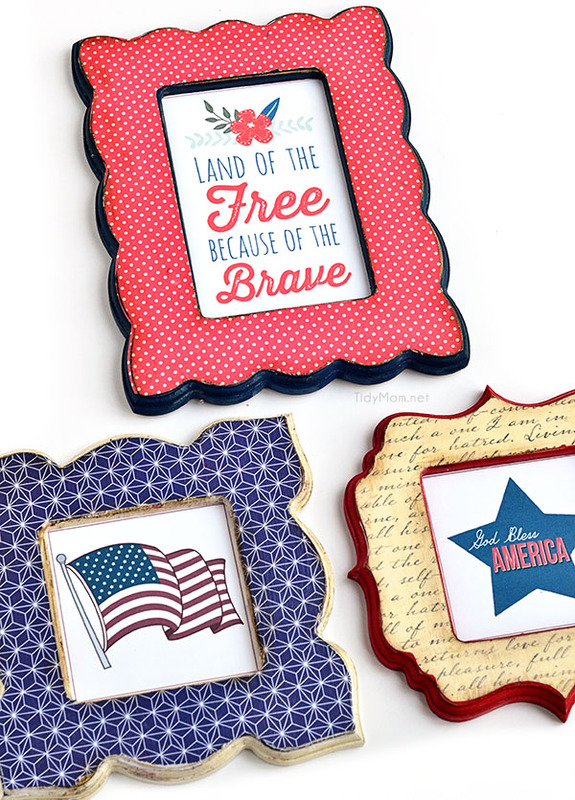 When Abbey of The Cards We Drew, asked if I wanted to be a part of the patriotic celebration I knew it would be the perfect time to make some Patriotic Frames to fill with a few Patriotic Printables……and the best part is …….YOU will have the chance to win $100 worth of Cut it Out Frames! 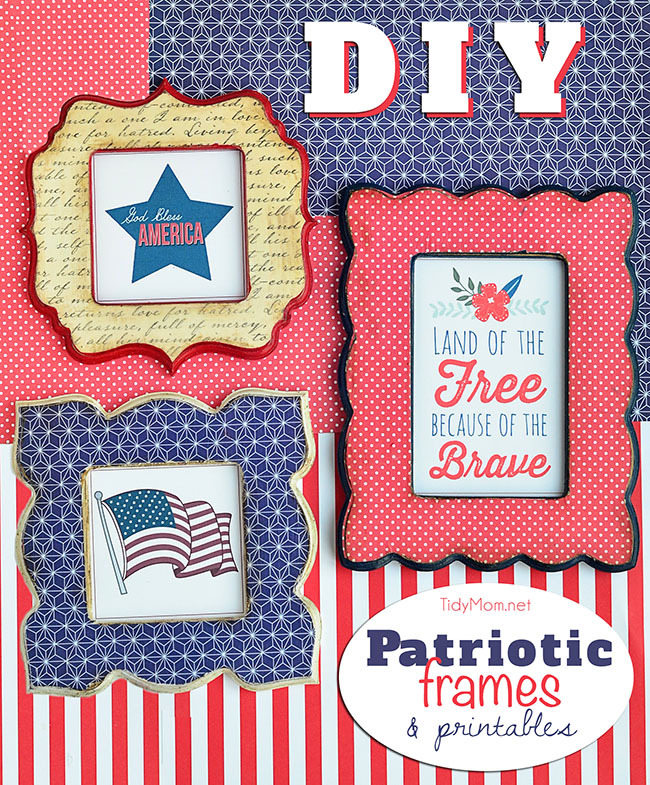 So you can make your own frames (they don’t have to be patriotic)! 1. 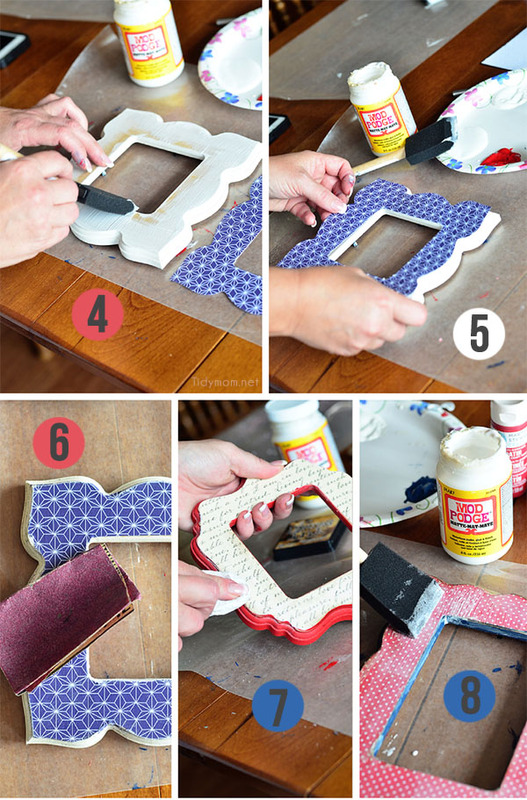 Lay a piece of scrapbook paper face down on a cutting surface, place unfinished wood frame face down on top of paper, and trace frame shape onto back side of paper. 3. Paint frames. Be sure to paint the inside and outside edges as well. Let the paint dry. 4. After paint has dried, use sponge brush to cover the front surface of the frame with a layer of Mod Podge. 5. Place cut out scrapbook paper on top, making sure to smooth out any bubbles. Set aside to dry. 6. Use sandpaper to smooth out all of the sides/edges of the paper. For the inside corners I fold my sandpaper and rub up and down to get the corners sanded. It’s ok if you sand off a little of the paper, this will give it a distressed look. 7. Dab soft cloth (or paper towel) with ink or stain, and gently run over edges of paper and frame. 8. The final step, cover your frame, including sides, with 2 layers of Mod Podge. 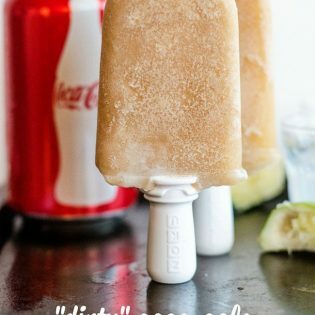 Let it dry about 10-15 mins. between each coat. Once frames have dried, insert your favorite pictures or printable. 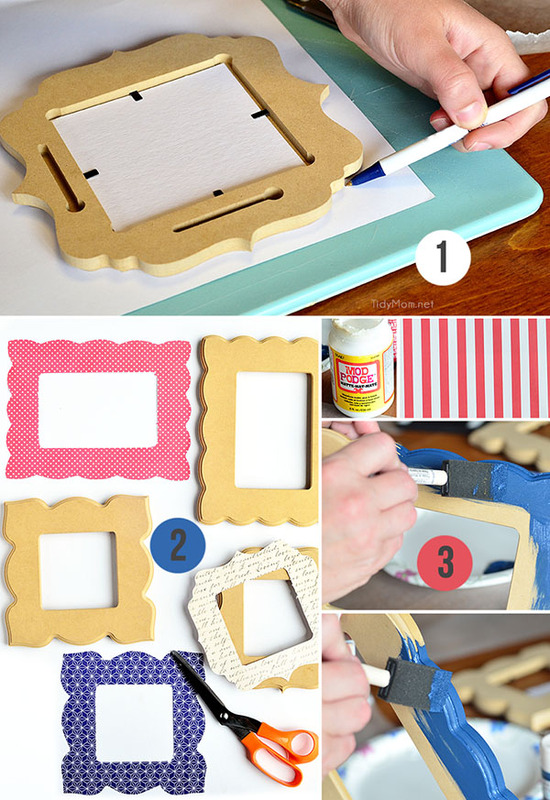 There are so many great things you can do with these beautiful frames! They come unfinished, which is perfect, because it allows you to get the exact look you want! They are made out of MDF so they are very easy to paint! I’ll be sharing what I’ve done with a few more of these frames in the next few weeks! They have a great selection of frame sizes and designs/shapes. 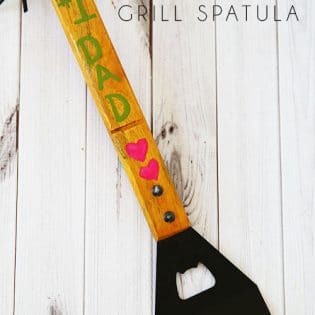 They are super affordable and they also sell cut out wood letters, numbers and some words for use in your home décor. Ok are you ready to enter for a Chance to WIN $100 Worth of Cut it Out Frames?! leave a comment at the end of this post telling me what you would like to do with Cut it Out Frames. Disclaimer: I have a working relationship with Cut It Out Already, however all opinions and views are my own.